Fenugreek & Blessed Thistle: Nature’s Answer to Lactation Deficits! Fenugreek is widely recognized as a nutritive tonic for breastfeeding women and has been traditionally used throughout the world for this purpose. A 2011 human clinical trial found a significant improvement in babies’ weight gain and in their mama’s milk supply after they consumed fenugreek tea (Turkyilmaz et al. 2011) Specifically, milk volume was significantly higher, while babies of fenugreek-supplemented mothers regained their birth weights more quickly and lost significantly less weight than the placebo group. Since the 17th century, blessed thistle has been primarily recognized by herbalists as a remedy to enhance milk production in nursing women. It is an excellent digestive tonic for the anemic and weak and is especially good for lactating women with a low milk supply. The herb is thought to stimulate blood flow to the mammary glands (see Zapantis et al 2012). A lactation specialist in Toronto, Dr. Jack Newman (his International Breastfeeding Centre is located at the Canadian College of Naturopathic Medicine in Toronto) writes about the effectiveness of blessed thistle and fenugreek when used together: “These two herbs seem to increase milk supply and increase the rate of milk flow.” (Newman 2009) He adds that their effects are additive: “fenugreek and blessed thistle seem to work better if you take both, not just one or the other.” Dr. Newman notes that mothers generally notice an increase in milk production within 24-72 hours after starting the herbs. St. Francis has encapsulated a 5:1 extract of fenugreek/blessed thistle, in a convenient 2 capsule per day dose! 1. Turkyilmaz C, et al. J Altern Complement Med 2011; 17(2): 139–142. 2. Zapantis A et al. J Pharm Pract 2012; 25(2): 222–31. A great snack to pack for your kids, is a healthy meat stick! Grass-fed, or pastured meat is a fantastic source of protein, and is packed full of important nutrients! Our favourite meat sticks are Island Bison’s Caveman Sticks. These delicious pre-packaged meat sticks are perfect to take on the go. Made with local, grass-fed/finished water buffalo meat these delicious sticks have 20% added liver and heart hidden in them. They’re extremely tasty and SO nutrient dense! Water buffalo meat is full of protein, iron, vitamin B12 and lots of healthy fats. The disguised organ meats enhance the nutrient content of these sticks, increasing iron and vitamin B12 content, and providing more fat soluble vitamins such as vitamin A & D.
Lunch: Tuna Salad or Wrap! Mixing tuna up with some mayo & avocado is one of the easiest meals to make, and is FULL of nutrients. It’s also incredibly versatile. It can be packed to be spread on rice cakes, crackers, inside a wrap, or simply enjoyed on its own! Raincoast tuna is one of the highest quality canned tuna options. Their albacore tuna is sourced from wild fish, caught in the Pacific Northwest of Canada! Our favourite healthy mayo is Primal Kitchen’s Paleo Mayo! Made with avocado oil, and cage free eggs, this mayo is full of healthy fats! It also doesn’t have any added sugar, so you can feel great about adding this to your own, or your child’s lunch! Paleo wraps are an awesome alternative to sugar & gluten filled bread or wrap options! They’re made with 100% coconut derived ingredients, coconut meat, coconut water and virgin coconut oil, that’s it! An excellent source of healthy fats, these strong & easy to use wraps are great for packing in lunches! No great lunch is ever complete without a treat 😉 . We’re huge fans of healthy, sugar-free treats… Who doesn’t love a bit of healthy sweetness?! Check out this awesome Bulletproof Recipe for Chocolate Truffle Pudding. Your kids will love it, and you’ll love the nutrient value. We hope that these lunch ideas are helpful for you when deciding what to pack for your day or for your childrens’ day! 🙂 Do you have any healthy & easy lunch ideas to share? Let us know! We’re all about easy, nutritious food that can be packed to take on our busy days… We LOVE suggestions! Do you, or your children, fear the monthly school lice checks? Does your child being sent home for having lice occur often in your nightmares? What if we told you that incorporating tea tree into your child’s hair-care routine, or to your own, could reduce the risk of them contracting the dreaded “head-lice” plague? Well, it’s true! Tea Tree, otherwise known as Melaleuca alternifolia, is a plant that has been used for its medicinal properties for centuries. It is native to Australia and was first introduced to the “western world” by famous Explorer, Captain Cook. Lieutenant James Cook coined the term “Tea Tree” in the late 1700’s when he observed the natives in rural Australian communities brewing the plant as a tea. The name has since stuck, and the many uses for this amazing plant are a marvel still, today! Tea Tree has natural antifungal, antiviral & antibacterial properties. It has been used for years to clean and sanitize home environments and can be great for disinfecting wounds, or ridding of fungus. In an essential oil extract form, it also has a very potent smell, making it excellent for pest control, i.e. lice prevention and treatment! If you, your child, or anyone else in your home.. including a pet… is misfortuned enough to contract head lice, Tea Tree Essential Oil is a great tool to have on your first line of combat. You may consider adding some tea tree oil to shampoo, conditioner, or mixing it with a carrier oil for a scalp rub to de-bug an infected head! Tea tree oil can also be used to PREVENT lice from inhabiting a head of hair (or fur), by incorporating it, when you’re lice-free! Here is a recipe for a natural hair detangler and lice prevention home remedy! Let us know of any other natural home-remedies that you use to fend off head-lice, we love hearing new suggestions :). We hope that you have a lice-free home this school year! There are some extremely effective and baby-friendly probiotic supplements available that can be used to help boost your baby’s immune system. Probiotics are important for helping to build the body’s immune system, as immunity is largely linked to gut health! One of the best baby probiotic supplements is BioGaia ProTectis, which is proven to be safe and effective for children and infants. It is one patented bacteria strain that has fantastic benefits for improving and supporting gut health. Vitamin D plays a major role in keeping our bodies healthy throughout our lives, and that starts from infancy. A great way to keep your baby healthy and improve their developing immune system, is ensuring adequate amounts of Vitamin D.
Nutristart Vitamin D Drops for Babies are easy to dose and give to your little one. Just one drop into their mouth or a bottle of milk or formula daily can help support your child’s immune system. When a baby does contract a cold, there are but a few things you can give them to help alleviate the symptoms so they can sleep and be happy… and so can you. A really great baby-friendly homeopathic formula is Boiron Coryzalia. It can be used from just 1 month of age to help to alleviate cold symptoms such as a runny or stuffy nose. Adequate nutrition is key for ensuring that you and your baby are healthy enough to take on cold and flu season! Making sure to eat a whole-food diet rich in vegetables, healthy fats & protein will help to keep your body strong enough to tackle the cold & flu season(s) ahead. Whether you’re pregnant, breast-feeding, or the parent of a new baby or toddler, keeping yourself healthy will help you to keep your littlest treasure (or treasure-to-be) healthy, too! Breast feeding can provide an immense amount of nutrition for a baby. Natural breast milk is full of essential vitamins, minerals and immune factors that help support the health of a baby. Ensuring adequate nutrition for your own body will ensure healthy milk production, and you may also want to take something to support natural lactation. A fantastic supplement for supporting milk production is St. Francis Fenugreek & Blessed Thistle Lactation Support. Both blessed thistle and fenugreek are herbs that have been used for centuries to promote healthy lactation. 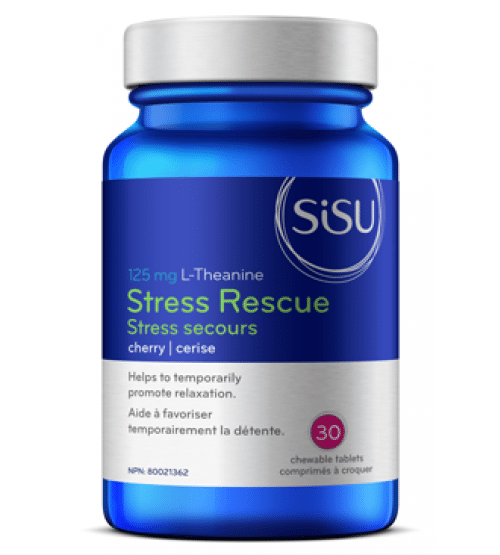 This 5:1 extract is super potent has been pre-proportioned to the effective and healthy ratios of these herbs in one convenient capsule, so you have less to worry about! These awesome herbs are also great for regulating Mommy’s blood lipid levels as well as glucose levels, so you can feel great while helping your baby feel great! If you’re not breastfeeding, don’t worry! There are plenty of nutrient rich formula recipes that you can put together quickly and easily for your little one! 🙂 The link below is to a few recipes from the Weston A. Price Foundation for home-made healthy formulas. There are cow-dairy, goat-milk and non-dairy options, so whatever your baby’s tolerances are, you can help keep them nourished and thriving! When you are pregnant or breastfeeding, the nutritional demands of your body tend to skyrocket. It can be hard to keep your energy levels up, while providing yourself and your baby with adequate nutrition. A great way to make sure you’re covering all of your bases is to take a prenatal multivitamin. One of the best prenatal blends available is MegaFoods Baby&Me. MegaFoods sources their ingredients from whole food sources, so your body can absorb the nutrients right away! Whether you’re pregnant, currently breastfeeding, or have a baby at home, taking a probiotic supplement to keep your immune system boosted will ensure that you are able and available to keep your baby healthy! One of our favourite probiotic supplement is Dr. Ohhira’s Probiotics. We love this probiotic because it has a blend of over 82 fermented vegetables, fruits & herbs and 12 live bacteria strains. This whole-food prebiotic and probiotic duo is safe and effective for most anyone to take! It is the number one recommended probiotic by local herbalist and new mommy, Charity Parkinson, CH, HNC. When you’re pregnant or breastfeeding, you can run into a lot of the same problems as babies when it comes to supplementing to stay healthy or get healthy when you’ve come down with something. Options tend to be pretty limited. But, there are some home remedies that you can rely on*, and of course you can increase nutritional intake. Bone broth is fantastic for keeping any body healthy, and is really great for rebuilding worn down or sick bodies. This recipe below can be made quickly and easily, is extremely soothing and tastes fantastic! Chicken broth has been prized for generations as the food you consume when sick… Our ancestors had it right! Chicken broth is high in an amino acid called cysteine, which helps to thin mucous so you can clear your congestion and breathe better! A really great way to ensure your entire household stays healthy is to improve the air quality in your home! Most of the colds and flus going around are airborne bacteria and viruses, and if the environment in your home allows them to thrive, it can be pretty hard to avoid the rapid spread! One way that you can improve the air quality in your home is by diffusing essential oils into the air! A safe and effective way of doing this is with a diffuser. The EcoSpa Ultrasonic Diffuser is a great option as it has an automatic shut off, a light on or off option, and a sleek look for any room. Diffusers can be great in bedrooms or nurseries too, especially when the light can be switched off! A fabulous essential oil blend for keeping everyone healthy is thieves oil! Thieves oil has been used for centuries to sanitize the air and keep people healthy. Marseilles Blend is made locally, on Saltspring Island, and uses the traditional essential oils in the important and effective ratios! It also smells amazing :). Another great addition to the home environment to improve the air quality is indoor plants! Plants are extremely efficient at recycling and filtering the air in whatever environment they’re placed in. They also help make your space feel cozier :)! Click on the photo to check out an awesome list of 12 NASA-approved house plants that are best at keeping the air in your home clean! *Please note that it is best to check with your health care practitioner prior to adding any herbs, supplements or foods you are not used to, into you or your baby’s diet when pregnant or breast feeding. We hope you have a healthy school year, and that you’re able to utilize some of the suggestions above to keep yourself and your baby thriving, whatever time of year it is :)! Back to school can be tough! But, lunch packing doesn’t have to be! 🙂 You can pack something nutritious that your family will love in just minutes with these healthy lunch ideas! A perfect, satiating snack for school lunches is trail mix. Trail mix is SO versatile, especially when it’s homemade! You can add whatever you want, and really monitor the ingredients. Nuts and seeds can be a really great source of healthy fats, protein, vitamins & minerals! They’re also delicious, and easy to snack on! Our favourite nut mix is Wilderness Family Mixed Nuts, containing almonds, cashews & walnuts. All varieties are sprouted, raw & organic. Sprouting nuts helps to increase their nutrient bioavailability as well as enhance overall digestibility! Lunch: Cheese & crackers are one of our go-to packable lunch meals. This easy lunch idea can be made into an extremely well-rounded meal for your kids or yourself, and is a breeze for you to throw together before your busy work day! You can’t go wrong with this one! It is all about sourcing for this one though, so we’ve put together a list of our favourites & why! Cheese is delicious… and it is also an amazing source of healthy fats, vitamins such as Vitamin B12, Vitamin K2, & Vitamin A, and minerals such as calcium, zinc & selenium! Certain types of cheese, generally the raw varieties, also contain healthy probiotics that support gut health! One of our very fav cheeses is Golden Ears Havarti. This artisan cheese is one that we prize both for its superb quality and its smooth taste. Golden Ears Havarti has a rich cheese flavour (that isn’t so strong that kids can’t handle it), and it is made from 100% grassfed dairy. It’s also very local to us, coming from Maple Ridge, B.C. Another amazing option, is L’Ancetre Cheddar Cheese. L’Ancetre is made ins Quebec and sourced from seasonally pastured cows! It is a raw cheese, meaning that it hasn’t been pasteurized, so it has all of the great gut health benefits in tact, and it is also naturally lactose-free. One of our favourite crackers are Mary’s Organic Crackers! They’re super crunchy, gluten free & are full of nutritious ingredients! Mary’s Crackers are made with organic brown rice, quinoa, sesame seeds & flax seeds, making them a great source of fibre, healthy omega-3 fats, & essential minerals. They’re also NUT FREE, which makes them great for packing in school lunches! Another favourite cracker choice, that is PERFECT for anyone with general grain sensitivities, or who prefers a lower carb option is the Kitchen Table Crackers. They’re made from cheese and milk cultures and contain zero carbohydrates! No need to worry about nuts or gluten :). They’re also super crunchy, delicious, filling and promote sustained energy all day, with no sugar crashes. Grassfed meat, particulary meat sourced from grazing herbivores, is a fantastic source of so many essential nutrients. Aside from being an excellent source of protein, red meats also contain high amounts of vitamin b 12, iron, omega 3 fats, & healthy saturated fats! As with anything, it’s all about the sourcing… making sure that the meat you’re consuming, comes from healthy animals will ensure that it is a healthy food option! Our favourite meat for a cheese and cracker platter is the Island Bison Garlic Coil. The Garlic Coil is full of flavour, and is a definite crowd favourite! Island Bison is a farm right on the Island, and they have Bison, Water Buffalo, Beef & Heritage Pork. They pasture their animals year round & have exceptionally sound ethical, environmental, and traditional farming practices. The meat that is produced from these well-kept, happy animals is of the highest quality – you can taste, and feel the difference when you eat it! Who doesn’t love pickles? Pickles are the best when paired with a healthy cheese & cracker platter. Finding pickles that are fermented will ensure that they have all of the fantastic probiotic benefits that they’re meant to! Bubbies Fermented Pickles are our very favourite option. These pickles are super crunchy (which is majorly important), they’re fermented, and they contain NO nasty chemicals or additives!! So many reasons to love them :). Another fantastic lunch idea is the ever-versatile collagen-rich gel-o or gel-o gummies! Made from grass-fed gelatin, they’re super satiating, packed full of healthy nutrients & are definitely a well received “treat” by kids of all ages! Click on the picture link below to see the full recipe & a how-to video for these amazing gummies! We hope these super easy, healthy lunch ideas provide a little help in deciding what to pack for your child’s school lunches this week! 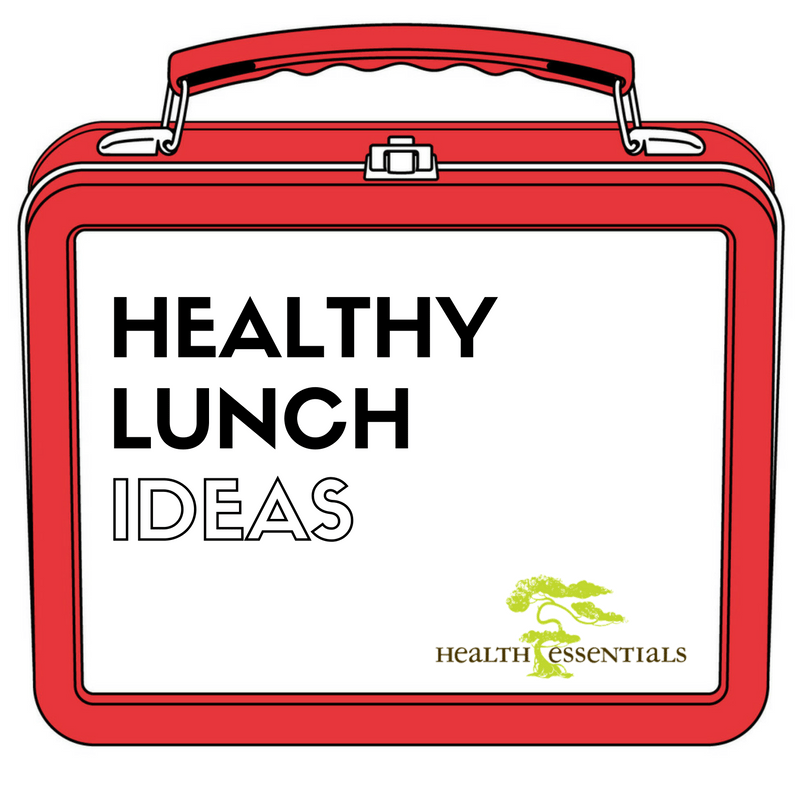 Stay tuned for more healthy lunch ideas throughout September! Please share any ideas you have… we love quick & nutritious food that we can take on the go 🙂 . There is still a month left of the summer season, which generally means the sun is here to stay for at least that long on the west coast… YAY! This is the time of year where enjoying the sunshine as much as possible becomes a major priority, because although we’re so lucky to live where we do, we may not see much more sunshine through fall & winter. One of the most important things that the sun does for our bodies is allow our cells to produce Vitamin D which is vital for many bodily functions. We can get Vitamin D from some foods, and through supplements, but the sun is actually the most efficient method of getting enough! Sun exposure can actually be the safest way to get enough Vitamin D as well. Our bodies have a way of regulating how much sun produced Vitamin D to store so that we don’t end up with too much! Another fantastic benefit that our bodies reap from sun exposure is a boost of serotonin production. Our bodies synthesize more of this “happy hormone” when we’re exposed to sunlight, which is amazing for increasing energy levels during the day. What’s more is that our bodies actually convert the mood elevating hormone, serotonin into a sleep enhancing hormone, melatonin when we’re winding down at the end of the day. So getting into the sun as much as possible can help fuel your energy stores in the daytime, and can help you get a restful sleep at night! Over the years, the sun has earned a pretty bad reputation for skin damage… but, there are things we can do to help ourselves love the sun again, so we can enjoy its many benefits. Fish oil is fantastic for helping your skin deal with sun exposure! The omega-3 fatty acids in fish oil are helpful for skin cell regeneration and inflammation reduction so your body can produce healthy cells that won’t be easily damaged by the sun. Astaxanthin is a powerful antioxidant present in salmon oil, salmon roe, & krill oil – it’s what gives these sea creatures their vibrant red colour. This antioxidant is really great for dealing with inflammation as well as protecting the skin from sunburns! Stack your diet and skin care products with healthy fats! Our skin is essentially made of fat, and healthy fats are the building blocks of new skin cells. Ensuring that our body is receiving the “ingredients” that it requires to produce cells that are healthy and are not susceptible to mutations is extremely important. Both the food that we ingest and the products we apply topically contribute to the health of our skin. Foods that are rich in good fats include fish, coconuts, avocado, olives, nuts, butter, grassfed meats, lard, dairy & pastured eggs. Skin care products that are rich in fat soluble vitamins such as vitamin E, D & A are great for supporting our skin as well. Ensure you’re avoiding bad fats. It is imperative to avoid consuming and using bad fats such as vegetable oils when it comes to food and skin care products. Vegetable oils contain harmful omega-6 fatty acids, which can actually contribute to skin cell mutation upon sun exposure. Our skin is made up of the building blocks we provide it, and if we are supplying too much of these harmful fats and not enough of the good ones, we risk the ability to produce healthy cells that can deal with the sun as they should! If you must use a sunscreen, choose a natural one! Many conventional sunscreens are loaded with chemicals that both block the sun out completely, and are harmful for our bodies. Many of the widely available sunscreens have high SPF’s which block all of the sun’s rays resulting in zero vitamin D production, which is extremely detrimental to our overall health. Often, these products are also full of chemicals that are absorbed through our skin and can interfere with bodily systems such as the endocrine system, throwing our hormones out of wack! Avoiding the use of sunscreen is the only way to actually allow your body to produce vitamin D, but in times of excess sun exposure, natural sunscreens can be a great alternative to conventional options. Those that use non-nano titanium dioxide or zinc dioxide deflect the sun’s rays off of the skin without the risk of your body absorbing anything harmful, and they contain great ingredients that support the health of the skin. We are huge advocates of sun exposure… it just feels so good. Do you have any natural tools or products you use to help your body deal with the sunshine? Let us know, we LOVE learning about new products!